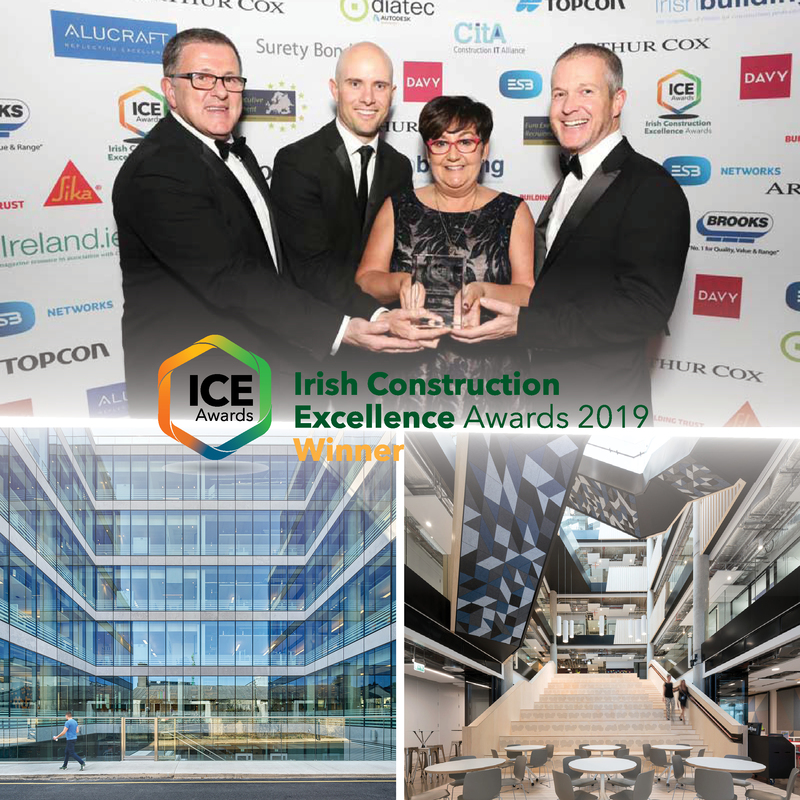 The LinkedIn EMEA HQ building won the award in the coveted ‘Commercial Over €10m’ category at the ICE (Irish Construction Excellence) awards on Friday 29th March last in the Mansion House, Dublin 2. The 7 entrants in this category included several major commercial buildings and LinkedIn’s top award acknowledges the tremendous effort made by RKD and AECOM in their design, the Walls team led by Gareth Lloyd for delivering a superb workplace and of course our client, LinkedIn for their vision. The ICE awards are relatively new but the quality and quantity of entrants in all categories show they have quickly made their mark and we are justifiably thrilled with this award. ← Vote for us in ICE Awards 2019!